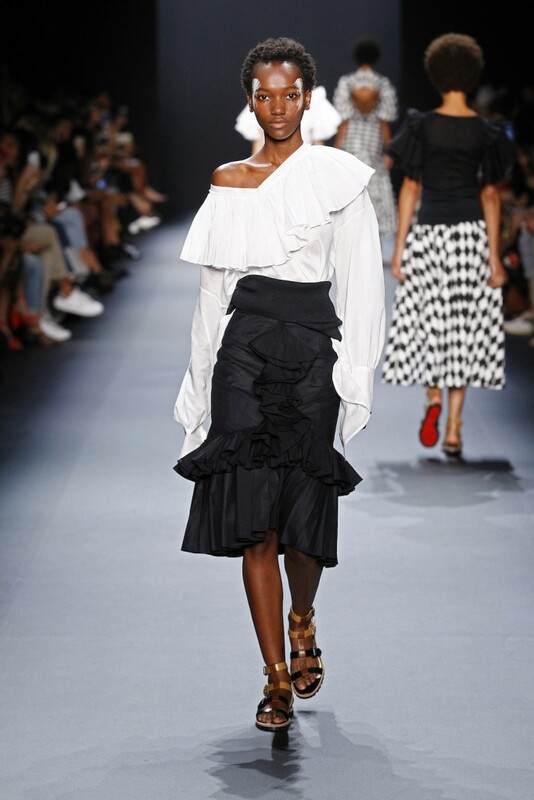 TOME designers Ryan Lobo and Ramon Martin showed an electric and empowering collection at New York Fashion Week for SS17. After the show, The Culture Trip went backstage to chat with the dynamic duo. It’s five years of TOME, so we’re feeling quite nostalgic and all of our women are back. We’re influenced by female artists – we always have been. Pina Bausch was the inspiration for one of our very first collections; Georgia O’Keeffe; Madonna is in there; Sade is in there – and then in particular this season we added Bridget Riley, who’s an artist we’re really obsessed with and who’s work is kind of back in the conversation if you will; not that it ever really left, but we’ve seen her work in a lot of shows, all the way from New York through Copenhagen into London and Barcelona. Traveling influences us a lot, and that comes through in our clothes. 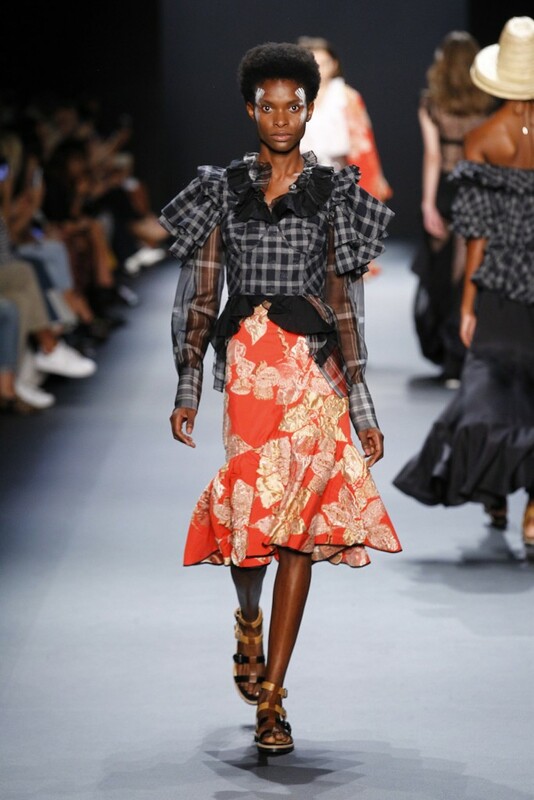 We took ‘her’ on the Spice Trail this season; there was sari draping and there were East African prints and prints made in India, so the influences are as diverse as the women we showed on the runway. Do you have a favorite piece from this collection? I don’t know that I have a favorite piece from the collection. I really like the cheongsam because it was literally the first thing that began the conversation for the collection, and it was actually agonized over: it was in, it was out, it was in, it was out; it was too literal; it wasn’t literal enough; it was too simple; it was too decorated; and it was the last thing that got added back in. I think it’s funny when you come full circle with something like that. It’s very hard to take something that is so iconically ‘other culture’ and make it modern, fresh, lighthearted and wearable in a different cultural context. So if we did that – and I think we did – I’m really proud of that. Is that sort of conjecture over whether a garment should make its way down the runway a commonality? Not necessarily, everything is a conversation. We’ve known each other for almost 20 years, and all we do is chat to each other. Everything is a really meaningful conversation, because we’re men who make clothes for women. We don’t wear the clothes, so we always have to put our woman at the center of that conversation. Things survive the collection, things get added literally at the last minute; I added a look ten minutes before we went on for the finale. ‘Flux’ is an interesting word to describe how things work in fashion. I think our approach is to never think anything is ‘too ridiculous’ to consider. We find beauty in the strangest places. What is your favorite thing about New York Fashion Week? When London Fashion Week starts! How does New York City inspire your look? We started the brand here, so that woman is at the heart of who we make clothes for. I also think that New York, more than any city in the world, is symbolic of every woman. Everybody is here, everybody wants to be here, and you can be anybody and become anybody in New York City. I think that’s who ‘our woman’ is. Now that the show is over, what does 2016 look like for you? More travel – a lot of travel. More of doing the things that we love: traveling, celebrating, being around the women that we love. From Australia to Peru, Hawaii, Paris, London – we like to cram it in!